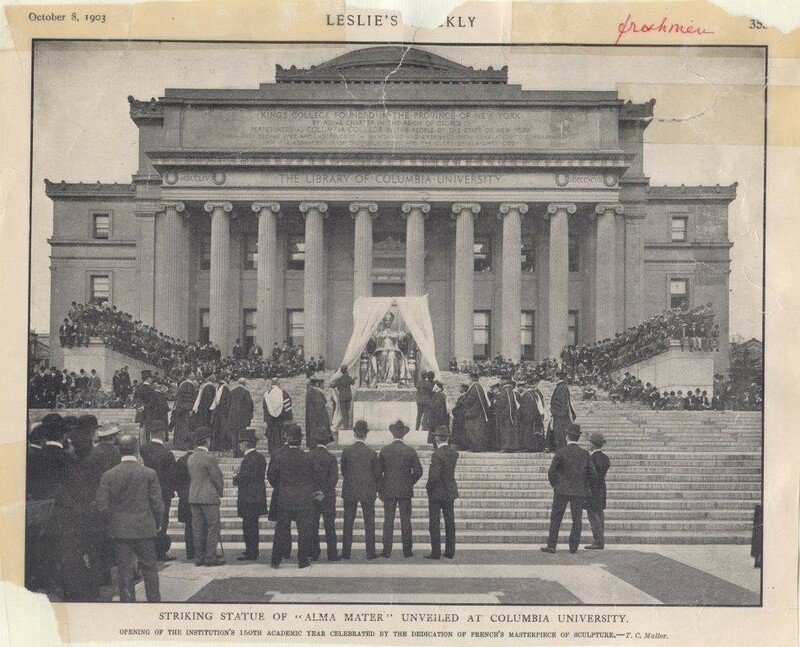 Clipping from periodical depicting the unveiling of the Alma Mater statue. Leslie's Weekly, October 8, 1903. (Scan 1148) Buildings and Grounds Collection, University Archives, Rare Book & Manuscript Library, Columbia University in the City of New York. Caption: Striking Statue of "Alma Mater" unveiled at Columbia University. Opening of the institution's 150th academic year celebrated by the dedication of [Daniel Chester] French's Masterpiece of Sculpture--T. C. Muller.